Italy's Banco Monte dei Paschi di Siena (MPS), founded in 1472, is the world's oldest operating bank. It may also be the world's worst managed bank, since by 2016 it had $55.2 billion in bad loans on its books. Even worse, salesmen working for the bank sold people high-risk high-yield bonds in place of ordinary savings accounts, so a collapse of the bank would mean hundreds of thousands of people, including many pensioners, would have their life savings wiped out. In fact, Italy's entire banking system was close to collapse. There were €350 billion in bad loans on the books of Italy's banks, a third of the eurozone's total bad debt. It's a violation of European Central Bank (ECB) rules for a member country to bail out its own banks, since that forces the taxpayers to pay for the mistakes of the bank managers, who should be held to account for their mistakes. Nonetheless, an MBS collapse would have been so disastrous for Italy's economy, that the EU was forced to agree to allow a bailout in July of last year, adding to Italy's already huge debt. Today, Italian debt stands at around €2.17 trillion, or 133% of gross domestic product (GDP). That's worse than Greece's situation when it was being bailed out in 2010. At that time, Greece's debt as "only" 127% of GDP. Furthermore, Italy has been struggling with years of crisis. The youth unemployment rate has remained stubbornly well above 30%, and Italy has felt abandoned by the EU as it had to deal with hundreds of thousands of migrants arriving on it shores across the Mediterranean Sea from Libya. As I've been writing for years, most nations of the world have entered a generational Crisis era, and in a generational Crisis era, nationalistic and xenophobic behaviors of the population increase. This is happening in countries around the world. You can argue whether this is good or bad, but it's like arguing whether a cyclone is good or bad. It doesn't matter whether you think it's good or bad, since it's going to happen anyway. 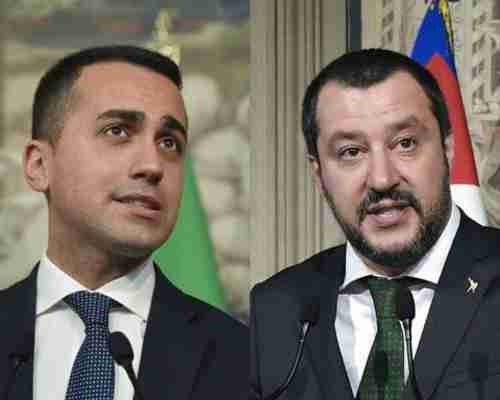 In Italy, these nationalistic and xenophobic behaviors are converging into a potential major crisis, as it now appears that Italy is about to form a government which is anti-euro, anti-EU, anti-immigrant, and with no fiscal discipline whatsoever. Italy's March elections failed to produce a governing coalition, and so Italy hasn't had a government since then. The political fighting has been raucous and bitter, and two parties that were particularly bitter rivals were the left-wing Five Star Movement (M5S) that got 32% of the vote, and the right-wing La Lega (The League) that got 17% of the vote. These two parties are far apart on many issues, but they do share a nationalistic anti-euro attitude, a xenophobic anti-immigrant attitude, and a complete lack of fiscal discipline, and so much to the shock and surprise of many EU politicians, they are forming a governing coalition, based on those principles. Luigi Di Maio is the leader of M5S, and Matteo Salvini is the leader of The League. However, neither of them will be prime minister. Matteo Salvini is a 45 year old member of Generation-X, a generation known for its destructiveness and self-destructiveness. Luigi Di Maio is a 31 year old member of the Millennial generation, a generation known for its lack of knowledge about almost anything, and a belief that everything should be free. 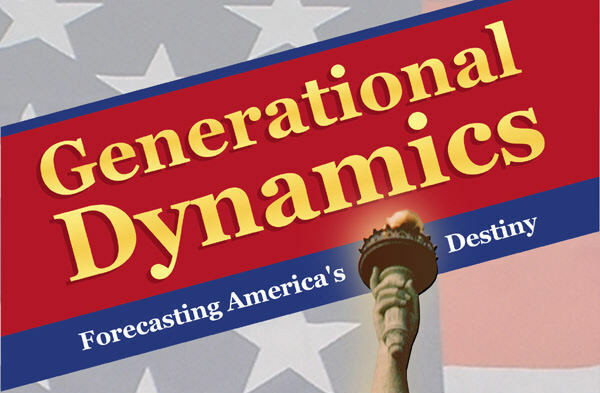 Those generational descriptions are, of course, stereotypes, and apply only to a minority of each generation. However, the policies proposed by Salvini and Di Maio suggest that the stereotypes apply fully to them. "The government's actions will target a program of public debt reduction not through revenue based on taxes and austerity, policies that have not achieved their goal, but rather through increased GDP by the revival of internal demand." Here you see how the two sides are supporting each other. The left-wing M5S will spend more money, and the right-wing League will reduce taxes. Basic income: Five-Star's flagship basic income plan will be implemented, guaranteeing a minimum income of €780 per month to each person. Minimum wage and economy: There will be a minimum wage, but the amount was unspecified. The development of the "green-economy" and use of electric cars is also a priority. Immigration: They'll crack down on smuggling networks, and speed up expulsions of illegal immigrants. They also want the rest of the EU to share in the responsibility for the immigrants, but the EU has abandoned Italy on this issue for years, and that's not likely to change. Muslim integration: Unauthorized mosques will be closed down, and a new law on the inclusion of "community involvement" in the building of mosques will be reversed. Pensions: The retirement age will be reduced from 67 to enable retirement when the sum of a person's age and years of social security contributions reach 100. So someone who works continually starting at age 18 would retire at age 59. Security: In the name of self-defense individuals would be allowed to shoot anyone who enters their home, even in the absence of a clear physical threat. Russia: Sanctions against Russia should be removed. Education: Free nursery schooling for children of "Italian families." All illegal Roma camps to be closed and Roma children who don't attend school removed from their families. Leaving the eurozone: This is supported by both parties, but it's been removed from the policy proposal, apparently to avoid scaring people.